Rabbi Lisa Berney is thrilled to be part of the Leo Baeck Temple Community as its Assistant Rabbi and Director of Lifelong Learning. Born and raised in Miami, Florida, Rabbi Berney received a Bachelor of Arts in Political Science and Jewish and Near Eastern Studies from Washington University in St. Louis. 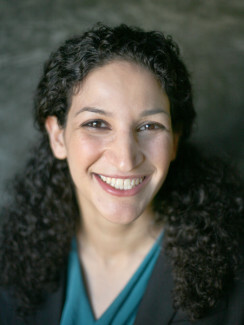 Afterward, she attended the Hebrew Union College-Jewish Institute of Religion (HUC-JIR) in Los Angeles, where she earned her rabbinic ordination, a Master of Arts in Jewish Education from the Rhea Hirsch School of Education, and a graduate certificate in Jewish Nonprofit Management. Rabbi Berney remains passionate about community building, social justice, and engaging Jewish learners of all ages. 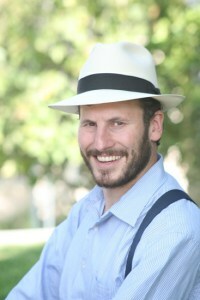 Rabbi Yonah Bookstein is Rabbi and Co-Founder of Pico Shul, a dynamic spiritual community in Los Angeles and the Alevy Family Campus Rabbi in Residence at University of Southern California. The Forward has called Rabbi Yonah one of the “game changers” in American Jewish Life. He was named a Jewish Community Hero by the Jewish Federations of North America, and one of the Top Ten Jews in Social Media by NJOP. Rabbi Yonah has worked with Jewish communities in the US, England, and Europe inspiring a rebirth in Jewish communal life. As Director of the Ronald S. Lauder Foundation in Poland, he was part of rebuilding the Jewish community during the 1990’s. Rabbi Yonah is an accomplished scholar with degrees from Ohr Somayach Yeshiva, Oxford University, the University of Oregon, and a former Fulbright Fellow at Jagiellonian University in Krakow, Poland. Rabbi Yonah lives in Los Angeles with his wife Rachel, Co-Founder of Pico Shul and their four children. Rabbi Gabriel Botnick serves as a rabbi at Temple Aliyah in Woodland Hills, CA, where he oversees the community’s B’nai Mitzvah, Adult Education, and Social Justice programs, in addition to his role as a spiritual leader and advisor. He is also a mohel (ritual circumciser) and the only non-Orthodox shochet (kosher slaughterer) in America certified by the Israeli Rabbinate. 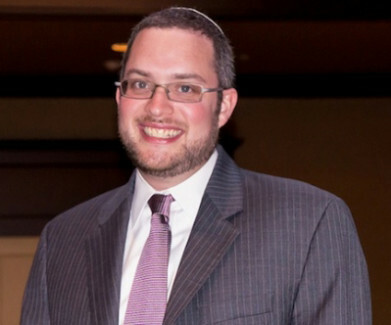 Having developed a passion for social and environmental justice while growing up in Ohio, he has committed his life to helping other Jews connect to Torah through these fields. Rabbi Botnick is a proud graduate of the Ziegler School of Rabbinic Studies, where his wife, Rose Prevezer, is currently training to become a rabbi. Rabbi Richard Camras is currently in his 16th year as Rabbi of Shomrei Torah Synagogue. 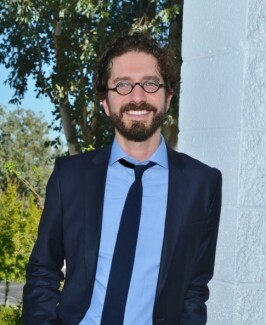 He is founder of the Conejo/West Valley Florence Melton Adult Mini-School and is a Lecturer of Practical Rabbinic’s at the Zeigler School of Rabbinic Studies and oversees the West Valley/Conejo Valley Introduction to Judaism class sponsored by the American Jewish University. He served for three years as Executive Vice President of the Pacific Southwest Regional Rabbinical Assembly and sat on the Executive Council of the National Rabbinical Assembly. He previously served as Associate Rabbi of Chizuk Amuno Congregation in Baltimore, Md. for seven years and was ordained from JTS in 1992. He and his wife Carolyn have two children Talya 18 and Noah 15. Rabbi Noah Zvi Farkas was ordained at the Jewish Theological Seminary of America in 2008, where he won numerous academic prizes in the areas of Jewish Philosophy and Talmud. He is a faculty member of the Florence Melton Graduate Studies Program and is a guest lecturer at the American Jewish University. Noah is actively building the spiritual life of Valley Beth Shalom through by leading the Chesed Pillar. 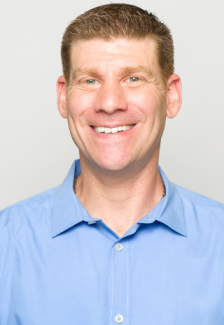 His work in the Caring Connection and Chesed Connection, connect VBS community members to each other through wellness programs and hospital visitation, as well as to the larger community through social action projects. In addition, Noah founded VBSnextGen, the newest addition to the VBS community, creating a home for engaged and married Jewish couples in their 20’s and 30’s. During his time in rabbinical school Noah co-founded the Seminary Leadership Project, a fellowship program that teaches Jewish clergy the art of communal organizing, housed at JOIN for Justice. Before coming to VBS, Noah served as the Student Rabbi at Congregation Beth Israel in Biloxi, Mississippi where he helped rebuild the Gulf Coast Jewish community after Hurricane Katrina. In addition to his work at VBS, Noah founded Netiya, the faith-based network that advances urban agriculture in our synagogues, schools, and non-profit organizations in Los Angeles. Noah speaks nationally about issues of social justice, generational engagement, and Jewish thought. He has appeared on NPR, and writes a monthly column, Turning the Tables for the Jewish Daily Forward. Noah published several articles on Jewish Philosophy and Jewish communal life. His most recent book is The Social Action Manual: Six Steps to Repairing the World (Behrman House). 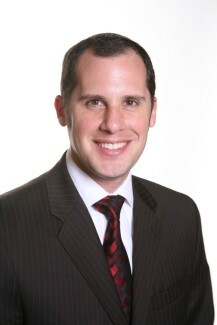 Noah lives with his wife Sarah in Sherman Oaks along with his three children, Meira, Shaya, and Asher. Noah’s number one passion after spending time with his family is thinking up creative ice cream flavors. Rabbi Dara Frimmer was recognized in 2014 as the Human Rights Rabbi of the Year by T’ruah, the national Jewish justice organization. The award reflects her outstanding leadership at Isaiah, among interfaith communities in Los Angeles, and nationally, on issues of health, environment, education, hunger and human rights. 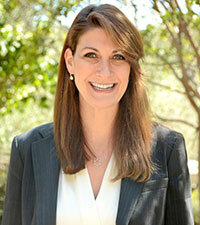 Dara was ordained in 2006 at the Hebrew Union College-Jewish Institute of Religion in New York City. Since joining the Isaiah community in 2007 as Assistant Rabbi, Dara is engaged in every aspect of congregational and life cycle events, with a focus on social justice issues, Israel and religious education. She is active with many local organizations committed to social justice including: American Jewish World Service, Bend the Arc (Los Angeles Regional Council & Selah Leadership), Hazon, Jewish World Watch, Just Congregations, One LA-IAF and Reform CA. Since 2012, Dara has taught The Shalom Hartman Institute’s iEngage curriculum to the Isaiah community. In January 2014, alumni from the class joined her for a 10 day trip to Israel titled: “Israel 2.0: In Pursuit of Justice & Peace”. In her free time, Dara can be found shopping at the local farmer’s market or pretending to follow Wisconsin sports teams. 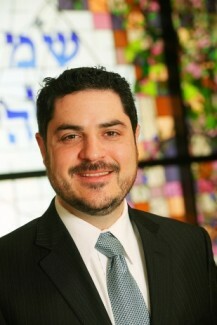 Rabbi Jason Fruithandler is a rabbi at the Sinai Temple in LA. Before joining Sinai Temple, Rabbi Fruithandler finished two years at congregation Bnai Jeshurun where he served as Teen Coordinator, Graduate Intern, and Rabbinic Fellow. There he helped implement a mishpacha program combining adult education and family education with the already standing Hebrew School Curriculum. He also sent 46 teens on service learning trips in New Orleans and Santo Domingo. He is proud to have been the Student Rabbi of Congregation Ahavath Israel in Kingston, New York. 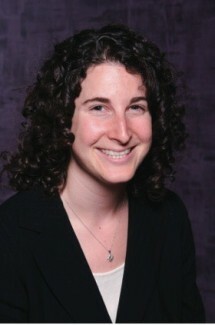 Rabbi Fruithandler graduated from the Joint Program between the Jewish Theological Seminary’s List College and Columbia University. He received a B.A. In Talmud and Rabbinics and a second B.A. in Sociology. He completed his M.A. in Jewish Education at JTS’s Davdison School of Education and recently finished his ordination at the JTS’s rabbinical school. He is proud to have been a part of the first cohort of cross-denominational Schusterman Rabbinic Fellows. As part of the fellowship Rabbi Fruithandler focused on the intricacies of non-profit work, reaching out to Jews on the periphery, and re-envisioning synagogues for the next generation. Rav Ahud Sela received his rabbinic ordination from the Jewish Theological Seminary in New York in 2007. Originally from New Haven, CT. Rabbi Sela became an adopted Californian when he studied at UC Santa Barbara, where he received his undergraduate degree in biochemistry and met his wife Alisha, together they have three children. Rabbi Sela’s vision for Temple Ramat Zion is a dynamic and vibrant center of Jewish life; a caring community that meets the needs of our members and our larger community, spiritually and practically. His religious and academic interests are the connection between Judaism and social justice, the connection between Judaism and the environment, and the writings of the Chassidic masters. 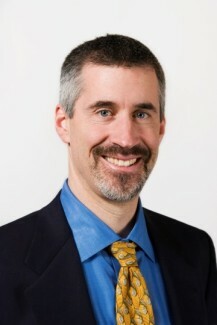 While attending rabbinical school Rav Sela was a Wexner Graduate Fellow and also received a Master’s Degree in Bioethics from the University of Pennsylvania. Adam Siegel began serving as a spiritual counselor at Beit T’Shuvah in 2010 and currently oversees its social action and community service initiatives. Originally from Cleveland, OH, Adam graduated from Miami University (OH) with a BS in Business Administration and began his career by working for Internet start-ups. After a Taglit-Birthright Israel program in 2000, he decided to follow his spiritual path and his passion by working in the Jewish community. Adam began this path by working to build community among Jewish college students and young adults in a variety of settings. In 2014, Adam was ordained as a Chaplain from the Academy for Jewish Religion-California, while also serving in the Skirball Hospice program. Today, in addition to counseling residents, Adam coordinates social action programs at Beit T’Shuvah, stressing the importance of service in personal recovery. Rabbi Ronit Tsadok has been part of the IKAR team since 2008, first as Educational and Rabbinic Intern, and now as Assistant Rabbi since her ordination from the Ziegler School of Rabbinic Studies in 2012. ​She​ is happy for any opportunity to share with adults and children the ways that Torah and Judaism can help us live more intentional and meaningful lives. She is grateful to have found IKAR, where traditional practice ​and innovative engagement, personal growth ​and communal responsibility are all ingredients in creating a Judaism that is resonant and rooted. Rabbi Devin Villareal is a graduate of the University of California at Los Angeles with a degree in the Study of Religion and a recipient of the Wexner Graduate Fellowship. The four years he spent at YCT were profoundly enriching and gave him the opportunity to work with communities in Maine, New York, Tennessee and California. He is the Chair Smicha at deToledo High School in LA. He and his wife Pamela have four children.